World's most popular web browser Google Chrome may gets defeat by Microsoft latest browser Edge, under its performance, and security features. In a Windows blog post on Wednesday, Gabe Aul, Microsoft’s head of the Windows Insider program, announced a new set of benchmarks for Microsoft Edge, the company’s new web browser made for Windows 10. 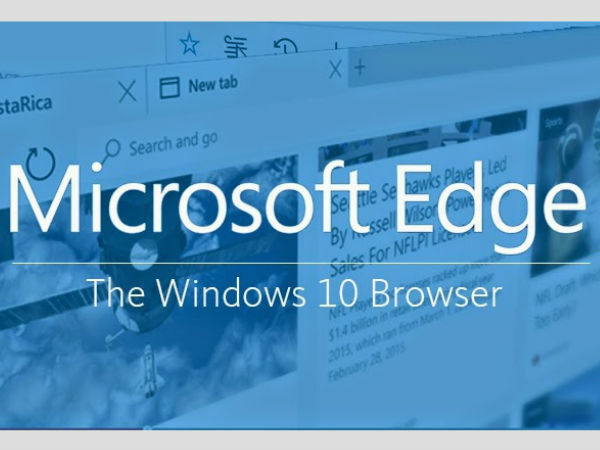 When Edge was tested using Google Octane, Apple JetStream, and WebKit Sunspider, Microsoft latest browser Edge shows the amazing performance leads over Google Chrome which makes its better. According to the benchmark results, Microsoft Edge was 112% faster than Google Chrome on WebKit Sunspider, 11% faster on Google Octane, and 37% faster on Apple JetStream. If these results gets accurate then there is no doubt that new Edge will the most popular web browser.